Includes 2 16 x12 inch Giclee Hahnemuhle Pearl prints signed, numbered and dated on reverse. 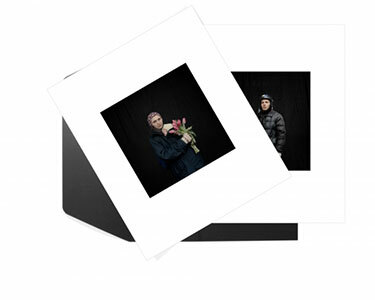 Maidan – Portraits from the Black Square by Anastasia Taylor-Lind is a series of portraits of anti-government protestors and mourners made in a makeshift photographic studio in Maidan Nezalezhnosti (Independence Square), Kiev during February 2014. When Taylor-Lind arrived in central Kiev on 1 February 2014, Independence Square was under siege, surrounded by police loyal to the government. Rising tensions culminated in the worst day of violence on 20 February and the following day President Yanokovych fled Ukraine. In all, three months of protests resulted in 112 confirmed dead, and many more missing. The portraits have been uniformly shot against the black backdrop of Taylor-Lindâ€™s improvised studio, removing them from the context of the barricades just a few feet away. The â€˜fightersâ€™ are identified by their homemade body armour, and the â€˜mournersâ€™ by the bunches of flowers they have brought to pay their respects to the dead. Captured with an air of stillness and reflection, these photographs show the individuals involved in, and impacted by, the unrest. 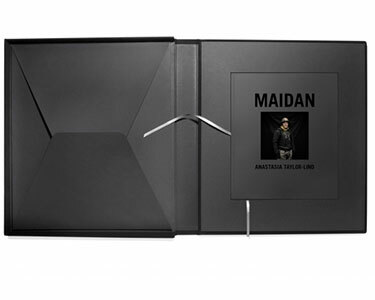 The project will be published in its entirety by GOST books in July 2014.